Florida's location is highlighted in red on the map to the right. The State of Florida is bounded by Georgia on the north, by the Straits of Florida on the south, and by the Atlantic Ocean on the east. 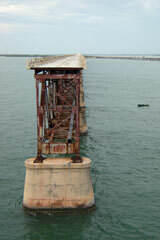 It is bounded by Alabama on the northwest, and by the Gulf of Mexico on the southwest. Florida is the 26th largest state in the United States, covering a land area of 53,927 square miles (139,671 square kilometers). There are 67 counties in the state. This Florida map site features road maps, topographical maps, and relief maps of Florida. The detailed, scrollable road map displays Florida counties, cities, and towns as well as Interstate, U.S., and Florida state highways. The pannable, scalable Florida street map can be zoomed in to show local streets and detailed imagery. to view a scalable Florida road map. The detailed Florida map and the regional Florida map display cities, roads, rivers, and lakes as well as terrain features. The detailed map shows only the State of Florida, while the regional map shows Florida and the surrounding region. Florida's capital city is Tallahassee. Other major cities on the Florida map include Jacksonville, Miami, Tampa, Saint Petersburg, Orlando and Fort Lauderdale. Much of Florida's income derives from tourism, but there is a major industrial area along the northeastern coast, around Cape Canaveral's Kennedy Space Center. In 2005, the population of Florida was estimated at 17,768,191, which is about 329.9 people per square mile. In 2010, Florida's population rose to 18,801,310 people. Florida's Interstate Highways include I-4, I-10, I-75, and I-95. Florida was named in honor of Pascua florida, the Spanish Easter celebration, which means "feast of the flowers". Much of Florida is located on the Florida peninsula with its thousands of lakes, meandering rivers, and vast wetland areas. Lake Okeechobee, the largest lake in southern USA, feeds the 40-mile wide Everglades marsh area, home to many rare flora and fauna species. A chain of small coral islands, known as the Florida Keys, stretches southwest toward the Gulf of Mexico from Florida's southern tip. These islands comprise North America's largest coral reef system. The Florida Keys, along with the Everglades National Park and the Walt Disney World theme park in Orlando, are the state's leading tourist attractions. For additional Florida travel and tourism information, visit the official Florida tourism site and Florida Atlas. This online Florida reference map shows major cities, roads, railroads, and physical features in Florida. 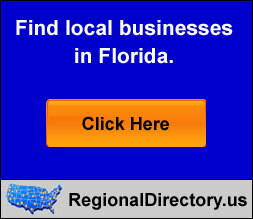 Several map publishing companies offer printed maps of Florida. For example, Omni Resources offers several maps of Florida that feature points of interest, airports, and parks, as well as selected local attractions and insets of major Florida cities. Florida-Map.org Editor, State Maps, PO Box 775, Barnegat, NJ 08005.